The International Air Transport Association (IATA) released data for global air freight demand in June 2016 showing a rise in freight tonne kilometers (FTK) of 4.3 per cent year-on-year. This was the fastest pace of growth in 14 months. Freight capacity measured in available freight tonne kilometers (AFTKs) increased by 4.9 per cent year-on-year, keeping yields under downward pressure. Freight demand increased year-on-year in June across all regions with the exception of Latin America which recorded a 9.8 per cent decrease, compared to the same period last year. The Middle East and Europe posted the fastest demand growth in June with year-on-year increases of 8 per cent and 5.1 per cent respectively. 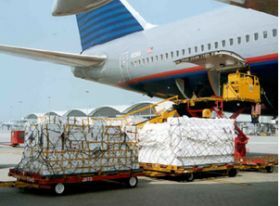 “June saw an improvement in demand for air freight. That’s good news," said Tony Tyler, IATA’s director general and CEO. "However, we cannot read too much into one month’s performance. Air cargo markets have been in the doldrums for several years during which there were several false starts on indications for improvement.